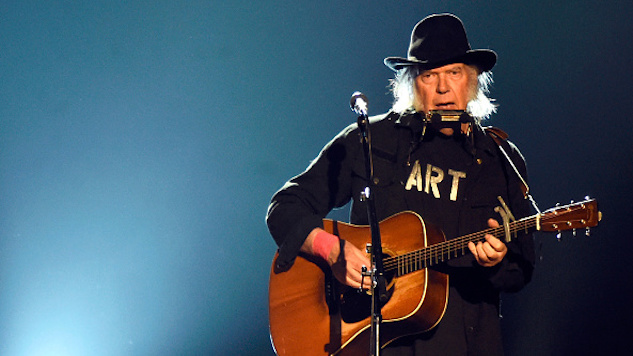 Neil Young is crafting a new online home for his music. Previously, listeners could delve into most of Young’s catalogue via NeilYoungArchives.com. This weekend, however, Young announced in a Facebook post his plans to revamp and update the archive to include more recordings, video and manuscripts, stretching all the way back to his days playing in high school bands. The archive will also house media that tell the stories of Young’s songs. “Each song is being backed up with the archival material that relates to it and to the creation of it, from song writing to band jams, the history of this music is there. It’s never finished, it is huge and growing,” Young writes in his Facebook post. You can read Young’s entire post on Facebook here and revisit our ranking of the 25 best Neil Young songs of all time right here.